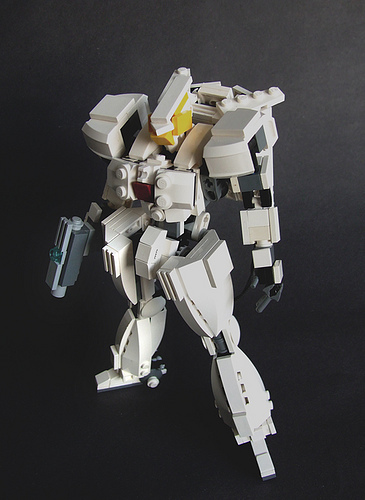 This gorgeous mecha by Jas Nagra evokes favorites by Soren Roberts or Izzo. Thanks for the kind words. The knee joint is actually Sorens design I do believe, I cannot take any credit. I also based this heavily off his Gundam frame, with some major modifications.